Home » Blog » Why Do Ants Eat Termites? Why Do Ants Eat Termites? Nature is often impressive and formidable. When you view the natural order of things occurring before your eyes, it can seem wonderous and frightening all at once. For instance, nature creates both predators and prey. Predators often feed on prey to sustain themselves and stay alive. When you dive into the world of insects, you will find the same predator vs. prey scenario. Surprisingly, ants often prey upon termites. It may seem surprising that two insects that often live so close together in nature would form such an odd predator vs. prey relationship, but that is the case. In truth, termites have many predators, but the ant is perhaps the most common and formidable, but why is that exactly? Ants and termites often take up residence in the same decaying trees, rotting stumps, and softened logs. Although they choose to reside so close to one another, that does not mean they live in peace and harmony. Instead, they view one another as competitors. Ants do not enjoy competing for their habitat, so they put in the work to eliminate a colony of termites. Ants have successfully destroyed entire termite colonies after going on the attack. That does not mean they are always successful. At times, ants cannot manage to eliminate the entire colony. Part of the reason for that is that termites have adapted to protect themselves against ant attacks. 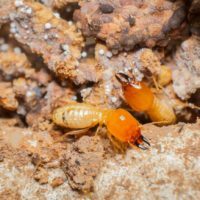 Termite larvae will sometimes turn into soldiers as a means of protecting the colony. When they evolve into soldiers, they grow large mandibles that they use to fend off an ant attack. They often fight bravely until the moment of their death. They do not mind sacrificing themselves to save the colony from attacking ants. Another method of protection termites use is building tube-like tunnels. The tunnels are often too narrow for ants, which means termites can hide within their nest safe and sound. Although ants do attack termites, do not wait for them to come to your rescue and destroy an invading termite colony since they are not always successful. Just like any other living creature, ants need to eat so they can survive. Ants do not just kill termites to protect their colonies. They also kill termites to eat them. Termites have soft bodies that are fleshy and pack plenty of protein. Ants can sustain themselves naturally by eating termites and their larvae for a tasty, protein-rich meal. Since ants and termites often live alongside one another, it is not uncommon to find you have an invasion of both in and around your home. Do not sit back to see how nature will handle the situation. Instead, contact a local pest control professional for assistance. 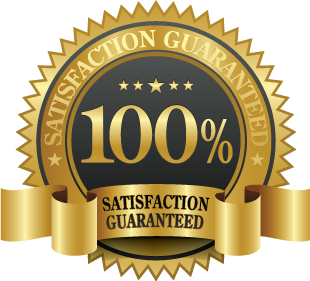 It is best to rid your home and property of both an ant and a termite infestation call Ant Control Toronto if you need help with ant control.